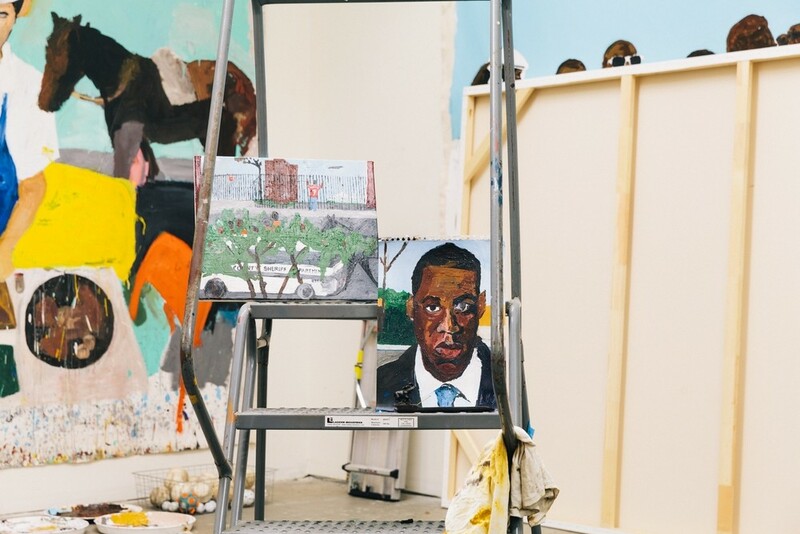 The artist Henry Taylor was commissioned by T: The New York Times Style Magazine to paint a portrait of Jay-Z, which is on the cover of the 2017 Holiday issue. I photographed him in his studio in Los Angeles. November 2017.